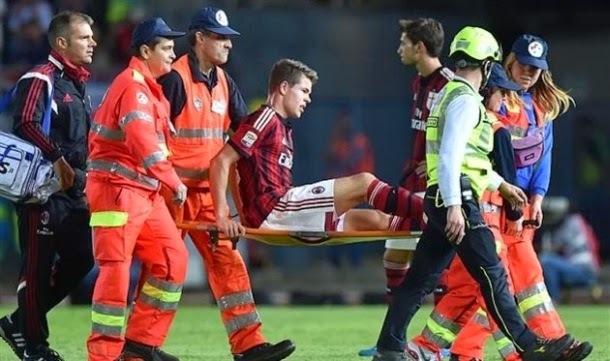 Van Ginkel only lasted 30 minutes of his debut for the Serie A side, but MRI scans showed the on loan Chelsea star had only slightly injured his ankle ligaments. The expected recovery time is set to be only three weeks. This will come as a relief to Van Ginkel, who missed most of last season through injury, but it means the midfielder will miss Netherlands U21 European Championship play-off against Portugal, which are played on the 9th and 14th of October. The 21-year-old is quoted by AD saying on the injury, "The joint popped a little." "At first I tried to play through but it did not feel right. Fortunately my injury is not too bad and I hope to be back in a few weeks. "